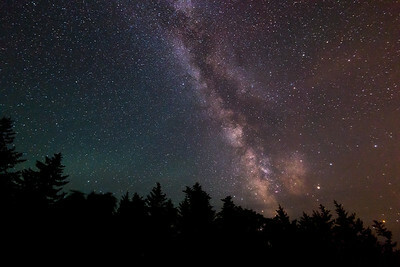 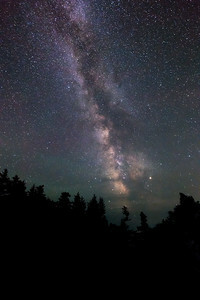 The Milky Way rises through a starry night sky above trees in Acadia National Park, Maine. 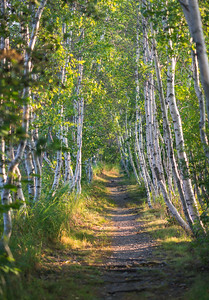 Early morning light streams through birch trees on the Hemlock Road, creating lines of shadow and light. 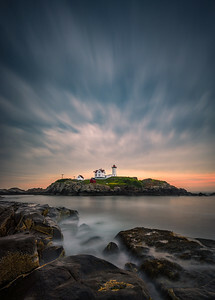 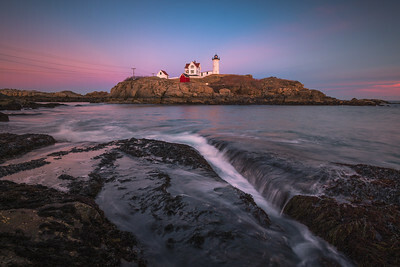 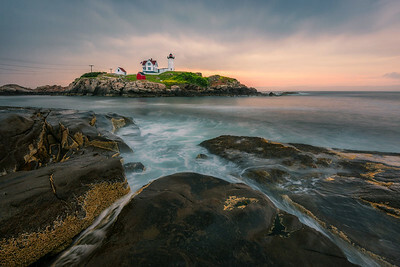 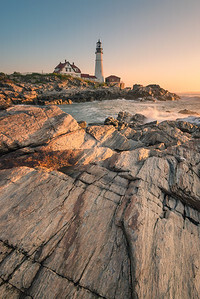 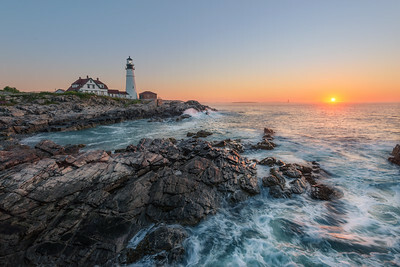 The Portland Head Lighthouse in Portland, Maine, shortly after sunrise on the US Atlantic coast. 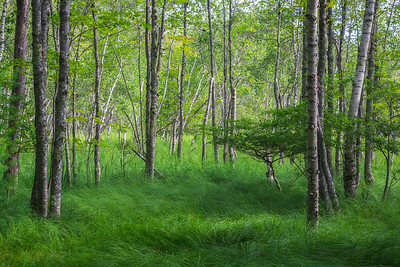 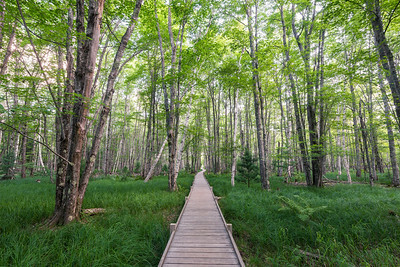 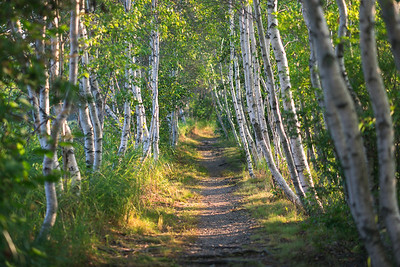 Morning light streams through birch trees on the Hemlock Road in Acadia National Park. 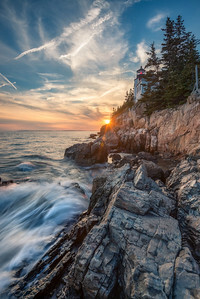 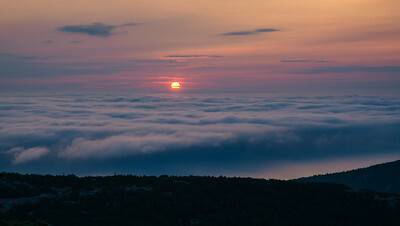 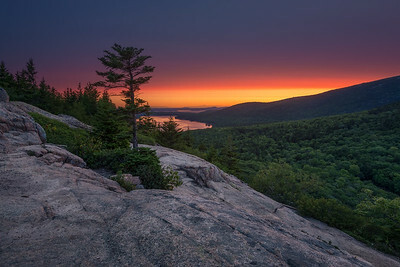 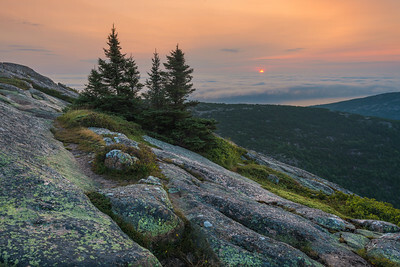 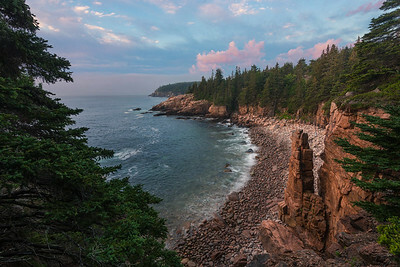 Morning light at Monument Cove in Acadia National Park, Maine. 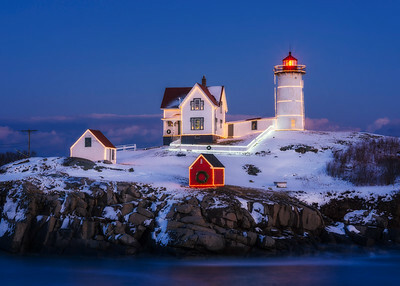 The Nubble (Cape Neddick) Lighthouse decorated for Christmas in the snow.